The venerable Grady Kimsey enjoys critical and popular success as a sculptor, potter, painter and instructor, with eight decades of life experiences to draw upon for inspiration. Kimsey was born in Knoxville, Tennessee, in 1928. 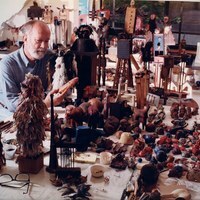 He earned his Bachelor of Arts in Fine Arts from the University of Tennessee in 1950, and then completed his master's In Education from Rollins College in Winter Park in 1969. Original color photograph: Crealdé School of Art, Winter Park, Florida. Copyright to this resource is held by the Crealdé School of Art and is provided here by RICHES of Central Florida for educational purposes only. Reep, Richard. 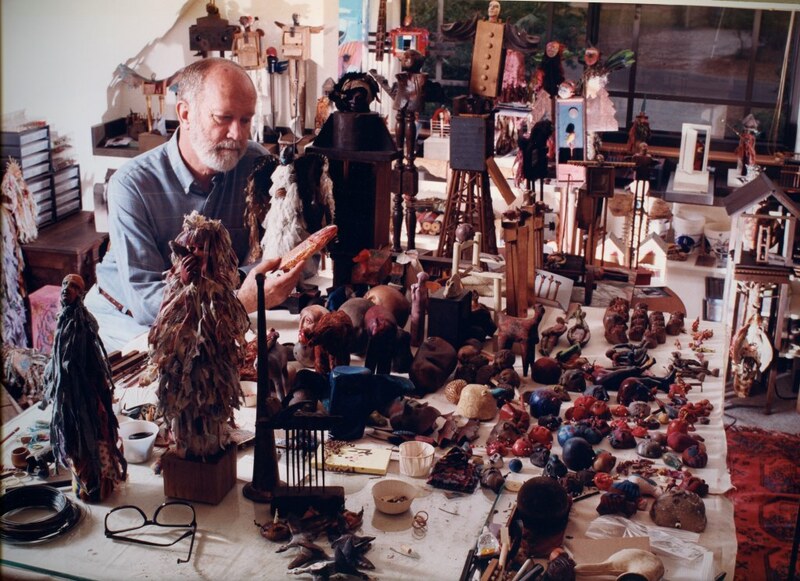 "Grady Kimsey: The Minds Eye at Crealdé gallery: Primitive masterpieces are a suite of stories told in miniature." Orlando Weekly, January 21, 2014. http://www.orlandoweekly.com/orlando/grady-kimsey-the-minds-eye-at-crealde-gallery/Content?oid=2241665l. “Grady Kimsey.” RICHES of Central Florida accessed April 18, 2019, https://richesmi.cah.ucf.edu/omeka/items/show/5345.